This charming 2-bdrm/1-bath bungalow has been METICULOUSLY CARED FOR! 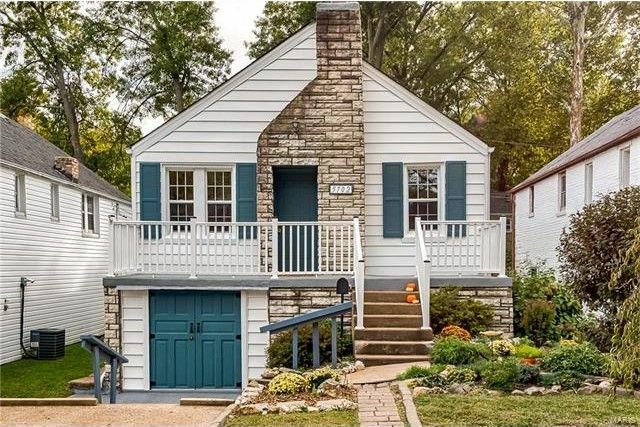 Centrally located on a quiet cul-de-sac street in the heart of Affton, near shopping, walking trails, major highways, Affton High School and Mathilda Park right next door! The interior has beautifully preserved hardwood floors, energy-efficient insulated windows, ceiling fans in each room and fresh paint throughout! The kitchen boasts two pantries, lots of counter space, new cabinets & new appliances! The bright, clean, full walkout basement comes with a washer & dryer which stay with the home, tons of extra storage space and freshly drylocked walls. The cheerful exterior charms with beautiful curb appeal, an inviting, recently weather-sealed front porch and gorgeously landscaped front and back yards with color in all seasons! The backyard is fully fenced-in with a garden shed and a firepit area, perfect for entertaining. This gem won't last, call for a showing TODAY! Directions: From Gravois Road going south, turn right (north) onto Mathilda Ave. Then turn left onto Welmering Drive (third street on the left). House will be on your left.